This spring, BBC National Orchestra of Wales celebrates its 90th birthday and to mark this milestone, the Orchestra is inviting people to share their stories and experiences. Stories could include seeing or performing with the orchestra, meeting a musician or taking part in a workshop. The stories gathered will form part of the birthday celebrations in April 2018. 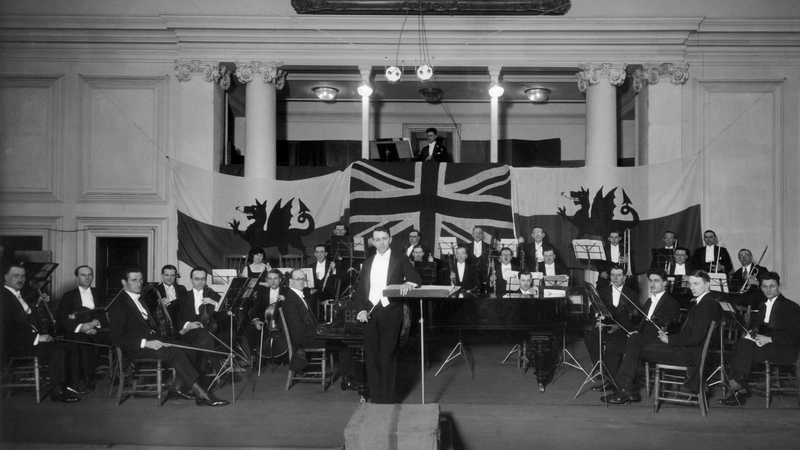 BBC National Orchestra of Wales gave its first performance on Thursday 12 April 1928, in the Assembly Rooms in City Hall, Cardiff. As the Radio Times announced that year, this was ‘A New Orchestra for Wales’, transforming one of the original station orchestras to ‘a compact but classically complete little orchestra of thirty players, appointed no longer as merely a studio orchestra, but brought into being expressly to function both nationally and civically’. This first concert was broadcast on 5WA (an indirect ancestor of BBC Radio Wales), where the Orchestra became a regular feature to some of Wales’ earliest radio listeners. Ninety years later, the Orchestra is still heard on BBC Radio Wales, as frequently on BBC Radio 3 and BBC Radio Cymru. BBC NOW performed regularly in Cardiff, with six concerts a week in its first season. It also began touring Wales, performing at the National Eisteddfod of Wales in Llanelli for the first time in 1930. In the late 1950s, the BBC Welsh Orchestra as it was known then, made its first appearance on television and gave its first televised concert in 1961. The Orchestra gave its debut performance at the BBC Proms in the Royal Albert Hall in 1971, and since then has performed over 160 times as part of the festival. Performing on the world stage became more common place when BBC NOW began touring internationally, visiting Canada in 1983. The Orchestra has, to date, represented Wales in South America, China, Japan, USA and across Europe. 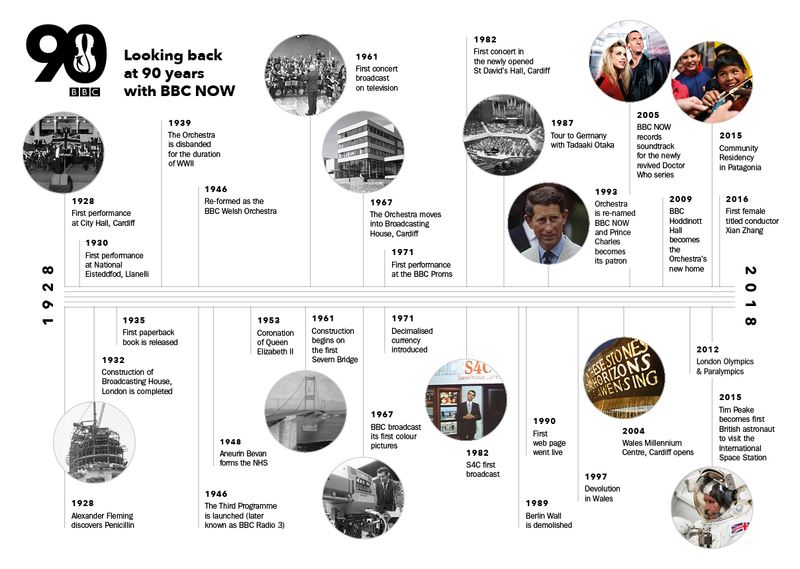 Over 90 years, BBC NOW has helped to inspire the next generation of musicians, composers and conductors. This learning work continues today, with exciting and distinctive experiences for people of all ages, backgrounds and abilities. The Orchestra has presented a series of ground-breaking projects including concerts for the Deaf, deafened and hard of hearing in 2013, and the first Relaxed Prom in 2017.